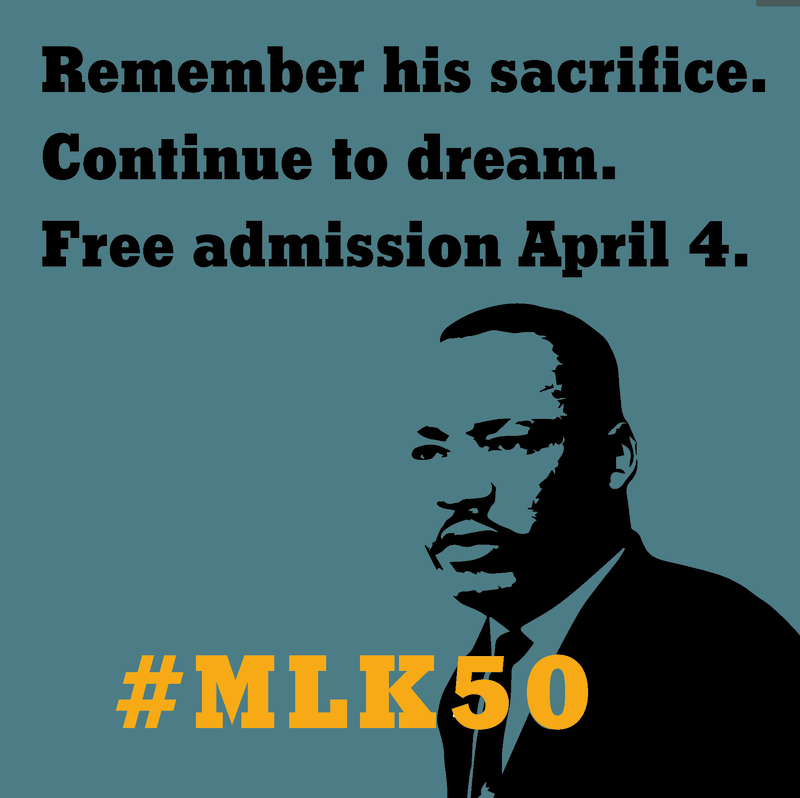 In observance of the fiftieth anniversary of the assassination of Dr. Martin Luther King, Jr., FedEx Corporation is providing free admission to the Mississippi Civil Rights Museum and the Museum of Mississippi History on Wednesday, April 4. King, who served as president of the Southern Christian Leadership Conference (SCLC) until his death, was a key figure in the American civil rights movement and supported Mississippi activists by bringing national attention to their efforts. King’s involvement in Mississippi began when he attended the funeral of NAACP state field secretary Medgar Evers in 1963 and participated in the march that occurred afterwards. In 1964, he visited Greenwood during Mississippi Freedom Summer to show the SCLC’s support for the project. At the 1964 Democratic National Convention, King made a statement before the credentials committee expressing support for the Mississippi Freedom Democratic Party (MFDP) to unseat Mississippi's white-only Democratic Party delegation. When James Meredith was shot during his March Against Fear in 1966, King and his wife, Coretta, traveled to Mississippi and joined the demonstration. King marched alongside Stokely Carmichael, Fannie Lou Hamer, Annie Devine, Floyd McKissick and thousands of others through the Mississippi Delta to the Mississippi State Capitol in Jackson. In 1968, King teamed with Fannie Lou Hamer as the SCLC and MFDP launched the Poor People’s Campaign. Mule Trains departing from Marks and Mount Beulah sought to promote an Economic Bill of Rights that included full employment, a guaranteed annual income, and affordable housing. After King was assassinated, Ralph Abernathy stepped in to lead the march, which ended in Washington, D.C. The Museum of Mississippi History explores the entire sweep of the state's history. The Mississippi Civil Rights Museum, the first state-operated civil rights museum in the country, explores the period from 1945 to 1976, when Mississippi was ground zero for the Civil Rights Movement nationally. The museums’ hours during the free admission on Wednesday are from 9 a.m. to 7 p.m. For more information, call 601-576-6800 or visit http://www.mdah.ms.gov/2MM/.